What’s goin on guys, Jerry Neutron here and today we’re gonna be taking a look at a NEW flagship mouse from SteelSeries, this is the Rival 700. At a $99 MSRP this mouse is expensive but is it worth it for what you get? Starting with the shape you get a nice right-handed, ergonomic design. I found that it was easy to hold since the mouse contours to the natural shape of your hand and it’s also got these large grip areas on both sides which allow you to grasp the mouse firmly. If you look at the mouse from the side you can see it’s got a high back with large mouse buttons that slope downward making it optimal for palm grip users. Personally I’m not a fan of such a tall back on a mouse since I’m a claw grip user but your preference is likely gonna be based on your grip style. Button-wise you get two large left & right-click buttons rated at 30 million clicks. The thing I like about these is they’re rather long, they almost come up all the way to the middle of the mouse and it doesn’t really matter where you press them, they feel the same whether you’re pressing at the very top or at the end of the buttons. 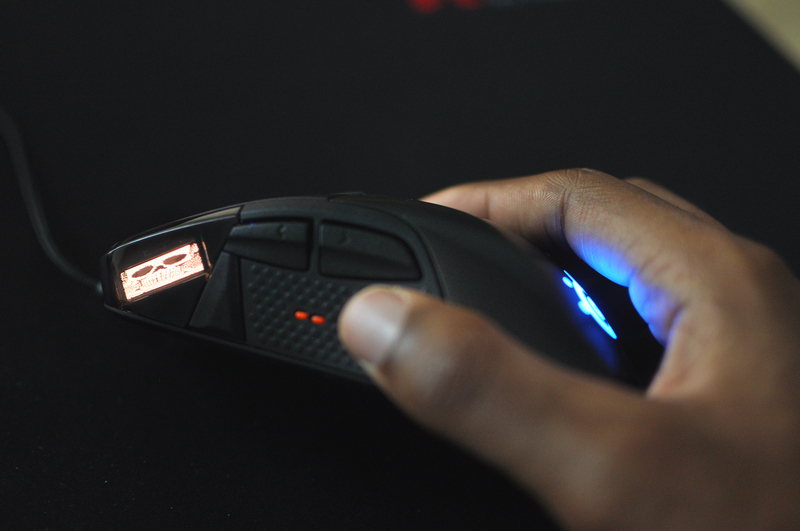 You also get a rubberized, stepped scroll wheel with RGB lighting underneath and a DPI adjustment button right in the middle of the mouse. On the left you get two large side buttons which are easy to press regardless of your grip style and a sniper button which is a little bit odd to reach but by default is not mapped to anything. There’s even a good bit of customization you can do to the mouse. There’s a namplate that you can replace at the rear, #SteelSeries even provides a template file so that you can 3D print your own. You’ve got RGB lighting on the top plate and scroll wheel with a healthy amount of effects like color shift, multi-color breathing and solid color. And probably one of the biggest features is the OLED display, here you can show off text or animated gifs that run at 10 frames per second, some people will say it’s gimmicky but I actually think it’s a pretty cool feature. Obviously you don’t NEED to have a display on your mouse but it just adds a little bit of flash to your peripherals. Just keep your gifs simple as the mouse can only display black & white images at fairly low resolution. Through the SteelSeries software you have the option of turning on GameSense which in specific titles will show your game stats on the display. For instance if you’re playing CS:GO, at the end of the round it will display your K/D ratio which is a nice touch. 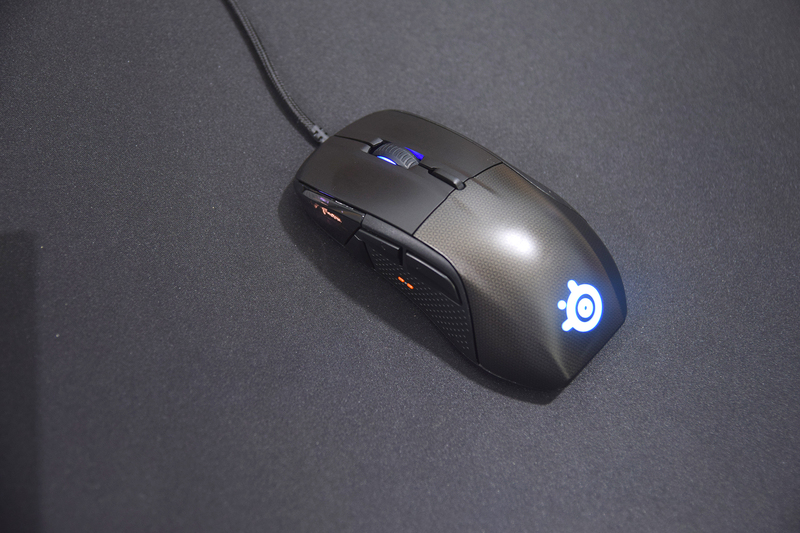 GameSense can even control the lighting on the #mouse based on certain scenarios. Right now GameSense is a little bit limited as at the time of this review it only supports 3 titles but there is an API available that will allow developers to integrate it with their game. Moving on let’s talk about the performance of mouse because really that’s the most important factor. On my scale the Rival 700 weighed in at just under 139 grams making it somewhat of a heavy mouse so if you want something that is lightweight for those quick flick shots, this is not it. You will notice the weight moving this thing around as it feels like there’s two double A batteries on the inside, that’s probably the best way to describe it. I’d like to see them get this thing down to around 100g max but I’m sure they’d have to drop some features to make that possible. As for the sensor, this mouse is using the PMW3360 which is arguably the best sensor available on the market at this point. In my experience the tracking was great, there was no jitter or prediction and the sensor seemed to pick up on any subtle hand movements, it pretty much went where I told it to go so I have no complaints. The last thing I want to talk about is the SteelSeries Engine 3 software. 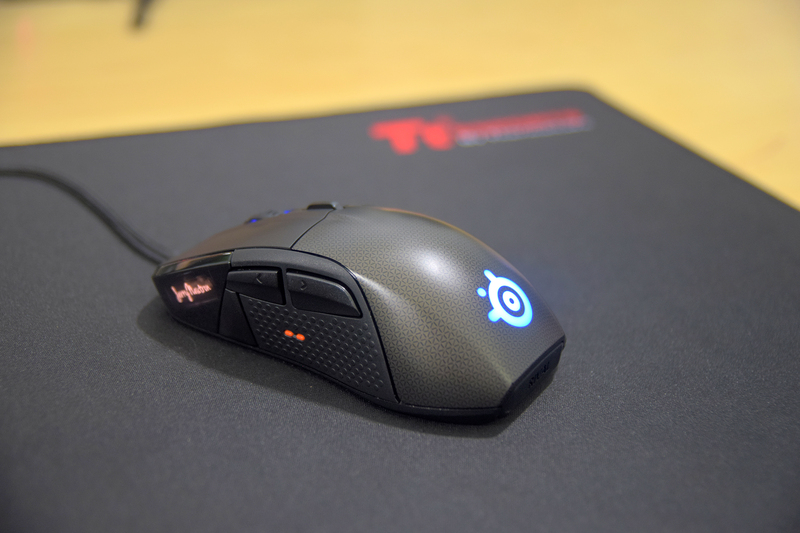 Here you can set up to two sensitivity levels, ranging from 100 to 16000 DPI. I personally use 800 for gaming and 1300 to navigate Windows for anyone that’s curious. You also have the option of enabling acceleration/deceleration, angle snapping and selecting a polling rate up to 1000Hz. There’s no Lift Off Distance adjustment for some reason although by default it’s set pretty low, you can fit about 1 CD underneath the mouse before it stops tracking. The software also allows you to configure macros or reassign mouse buttons so that they can emulate a key press on your keyboard or a media button or a macro. 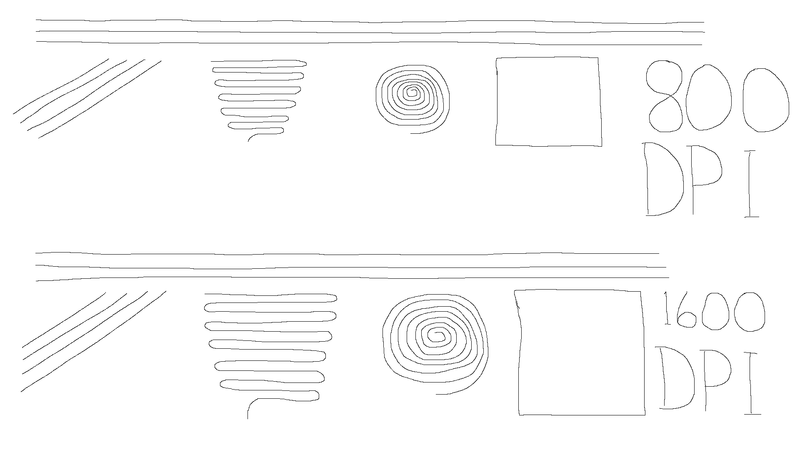 There’s even tactile alerts that you can set that will make the mouse vibrate in a certain pattern. By default this is off for any and all buttons but I personally set a soft bump vibration for anytime I press the DPI toggle button just so that I’m aware of when I’ve changed my DPI, just in case I happen to hit the button by accident or something like that. And the cool thing is once you have all of your settings configured you can set up to 5 profiles directly on the mouse so if you happen to travel or use the mouse on someone else’s computer it will hold on to your previous settings. The software isn’t quite perfect however, after updating the firmware on the Rival 700 the software would not save my default configuration to the mouse so I had to perform a factory reset on it to fix the issue. Also at certain times my animated gifs will freeze during game sessions or fail to display my stats if I’m playing a GameSense supported title like CS:GO. So it has good promise but there are some quirks that still need to be worked out. 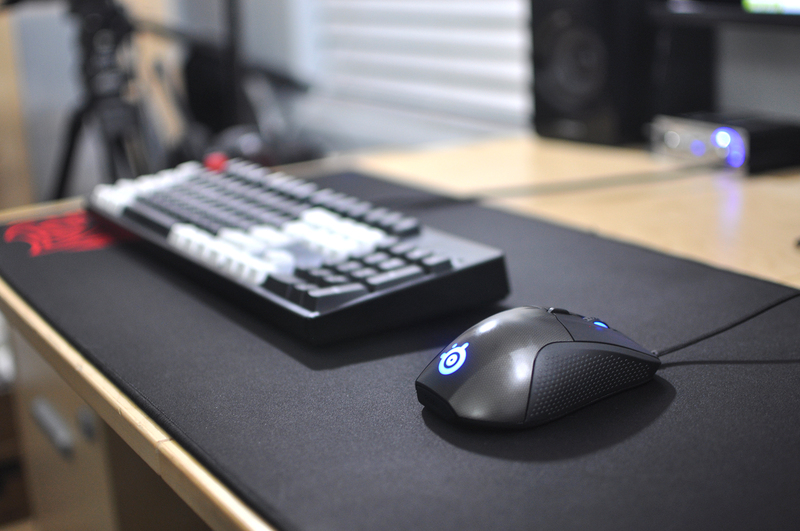 Overall though the Rival 700 is a great mouse, the level of modularity and customization is well beyond anything that I’ve used previously. It is a real flagship mouse in every sense with all the bells and whistles you can think of, it has the potentital to be THE mouse for a lot of people but the high price tag and the heavy weight is going to scare off a lot of gamers. If they release a revised version that weighs 100g or less, it’ll no doubt be a favorite amongst competitive gamers. So that’s about it guys, let me know what you think about Rival 700 down in the comments below. Do you mind if a mouse is a little bit on the heavy side? Also don’t forget to like this video if you’ve found it helpful or entertaining, subscribe for more similar content and until next time…see ya!